Ahh, there’s nothing like a little friendly competition to get the blood flowing.So, I have decided to enter my cheese cake flan recipe into a contest where I have the opportunity to win a hefty sum of cash, and gain some real exposure in the food world. That being said, it would be foolish of me not to at least try and win. This recipe took more than a few kitchen therapy/ mad scientist sessions of tweaking and experimentation. Funny thing is, I am not even a dessert person, but I must admit I have a weakness for both flan and cheesecake, and together? What a fusion! With just a kiss of Grand Marnier and espresso for added excitement. Here it is and I hope you love it! 😉 PS: I left out one secret ingredient, just ’til the end of the competition. Preheat oven to 325 degrees and soften the cream cheese in the microwave for about 30 secs on high. In the meantime, in a large mixing bowl, beat or blend the eggs, add the milks, and the melted cream cheese. 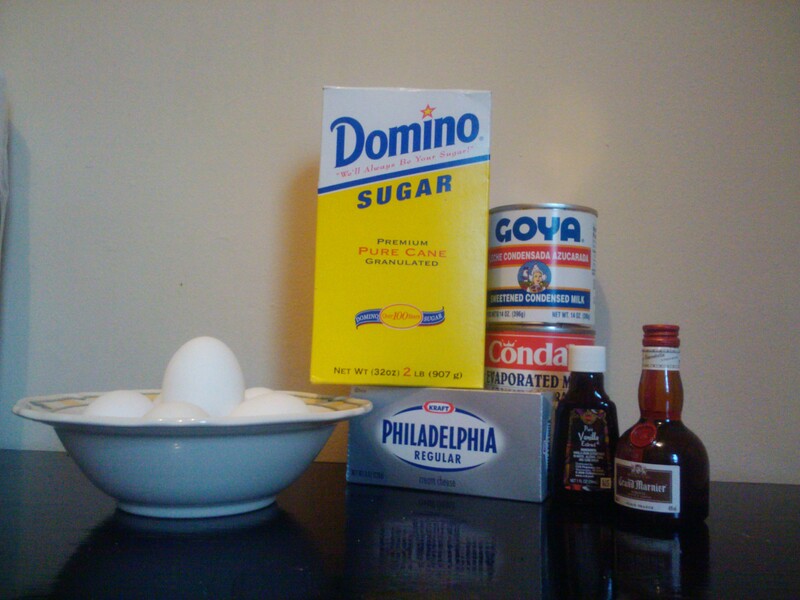 Then add the remaining ingredients, vanilla, sugar, Grand Marnier, and espresso. Fill a large cake pan a little less than half with water. 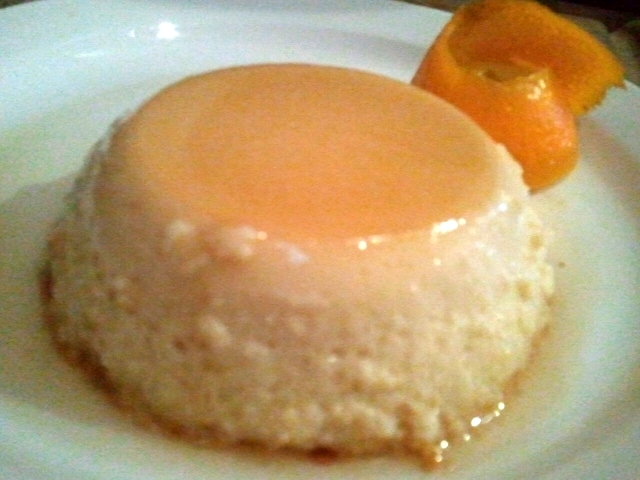 In a flan, or small tart dish, add a small amount of maple syrup then the flan mixture. Bake for 1hr. Great when paired with a snifter of Grand Marnier as a digestif. Yummy! Wow! Looks good I think I will try it.